In 1849, British archeologist, Austin Henry Layard discovered 22,000 clay tablets in the Ancient Sumerian city of Nineveh, in an area now known as Iraq. The tablets contain cuneiform script and are one of the earliest known writing systems, created by the Sumerians 6,000 years ago. In 1976, a man named Zecharia Sitchin published his personal translations of the Sumerian texts in a series of books called “The Earth Chronicles.“ According to Sitchin, the clay tablets describe an alien race known as the Anunnaki, who came to Earth to mine gold. Sitchin claimed extraterrestrial visited earth in the past because their home-planet needed gold to survive.. But that they also tampered with the genetics of humans when they came here. There are many theories about the Anunnaki that could fill several volumes of books. Question is.. If the ancient Anunnaki really did exist, wouldn’t there be tangible evidence of their legacy on Earth? Well, in 2005 a man named Johan Heine discovered an ancient city in Africa that could prove to be the missing link to the Anunnaki. 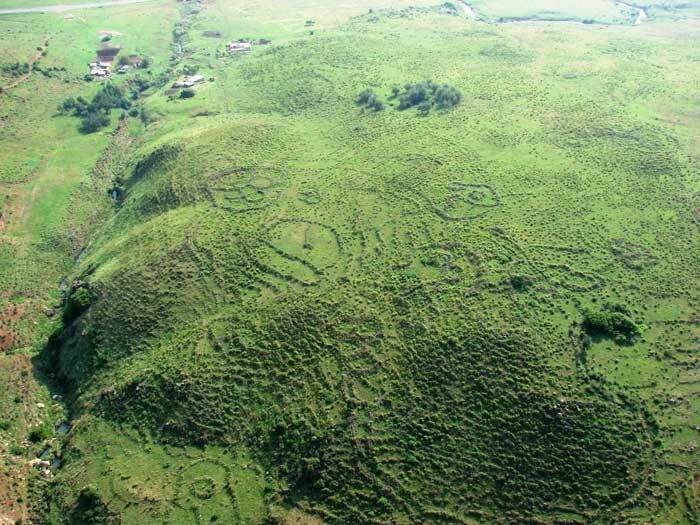 Located around 150 km west of the port of Maputo, in South Africa, researchers have found the remains of a vast metropolis that measures, according to initial surveys, a staggering 1,500 square kilometers. This ancient metropolis is, according to many, part of an even larger complex that encompasses an even greater area of 10,000 square kilometers, but the most fascinating detail about it is its age: It is believed to be between 160,000 and 200,000 years old! Curiously, near these ancient metropolises the presence of ancient gold mines indicates the presence of an advanced civilization that was able to extract gold, in 200,000 BC. So the big question is, WHO could have been mining all that gold, such a long time ago? According to many people around the globe, the Anunnaki are most definitely the ultimate proof that there are missing links in the origins of the human species. So, about 2 years ago, I personally traveled to South Africa to see some of these structures for myself. I was ASTOUNDED by the sheer magnitude and the amount of effort that went into building these structures. To be honest, I left with more unanswered questions than I arrived with. Why insist on using only one type of stone when there are other options? Why take the stones from so far away? Why do the stones make strange ringing sounds when you tap on them, almost like they’re made of hollow metal? Some of the walls were also believed to be over 3 meters high at one stage. Why build them so large? Why didn’t they have windows or entrances in so many them? Why build them in such strange patterns? Regardless of who built them when they were built, or why, they were truly astounding feat. Too bad nobody has actually done a proper archaeological dig to see if anything is buried inside or near the structures. We just don’t have the money nor the manpower. But, you can still go visit them! Just try not to knock down the stones by climbing all over the walls. Too many people have done that already. As an added bonus, here are some exclusive, up close and personal photos of these structures I took while I was there investigating. Here are some images of the ancient city from above.